Civil-isation - What if an Atheist? 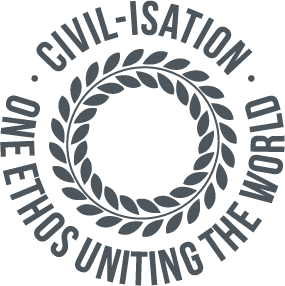 CIVIL-ISATION is not a religious movement but intended for caring human beings whether religious or not. The word 'ideal' is perhaps more universally acceptable than 'spiritual' but the ideal appears to be at the core of all the great religions, even if this has been obscured by the corrupting history of power. Either word is used simply as a term to suggest something that is not a commodity or at all prescriptive. Some will want to call this spiritual but it could also be termed 'secular'. 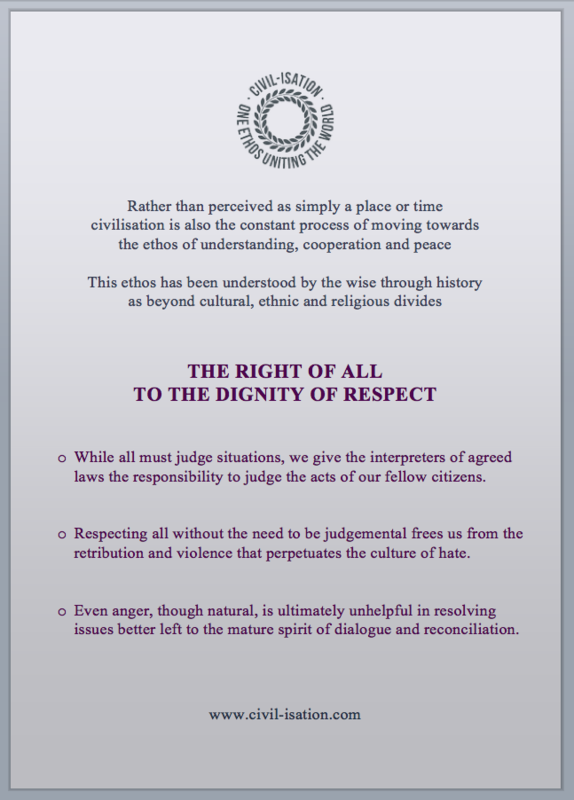 It is an ideal that does not judge but sets out to find the one point of civility around which all peoples can unite. "We must spontaneously co-operate, we must immediately overcome our superficial differences." values in the name of which we can and must cooperate."